Seven years ago I had a wake up call says Arianna, when she opens her Saturday evening session in conversation with Georgina Godwin. “I was burnt out, I passed out and came round in a pool of my own blood”. I’m supposed to be successful but coming round in a pool of your own blood isn’t a mark of success. Society has brought the definition of success down to just two metrics – money and power. It’s a two-legged stool that’s bound to fall over so she decided we needed a third metric. The Huffington Post founder argues that a successful life is achieved by including a third metric: personal care, health, and fulfilment. She also talks a great deal about the need for sleep. Bill Clinton said the biggest mistakes he made in life were when he was tired. He didn’t specify which mistakes. 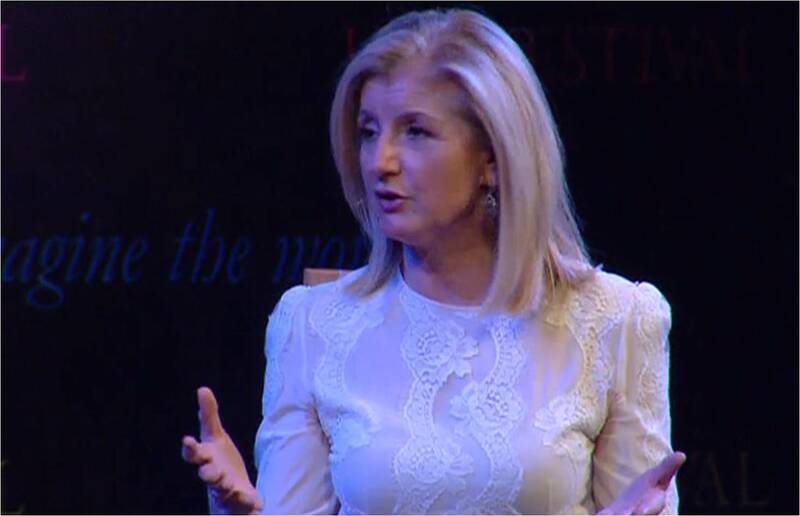 Arianna Huffington is a highly intelligent and engaging individual. There was much humour; she recalled a headline from The Onion that said ‘death rate remains steady at 100%’. She had an anecdote about the British who she said allegedly have no spirituality and invented cricket so they could experience eternity. All that said, her polemic feels personal rather than universal, it’s about her own journey. It’s also framed in a kind of Californian world view, the view of someone who in a spiritual sense has gone from Wall Street to Haight Astbury – Huffington lived in California for a period in the nineties. If her new book is as engaging on paper as she is in person then it will be a great read whether or not it serves as a useful and universal design for life. Loved the crack about cricket!